Riverside forest within tropical savanna, Tanzania. The ecotone between a riverside forest and the savanna just beyond is quite clear. 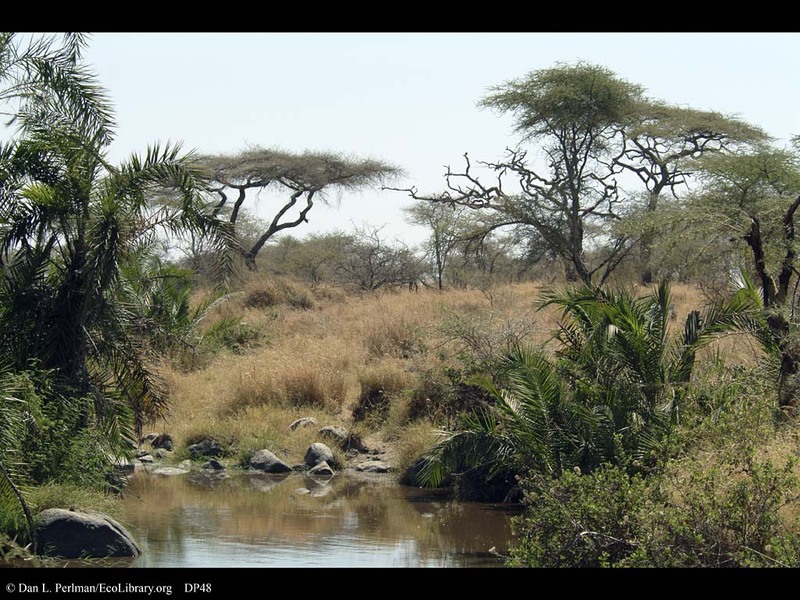 The Serengeti is quite dry for much of the year and cannot support palm trees, except where there are permanent rivers such as this.